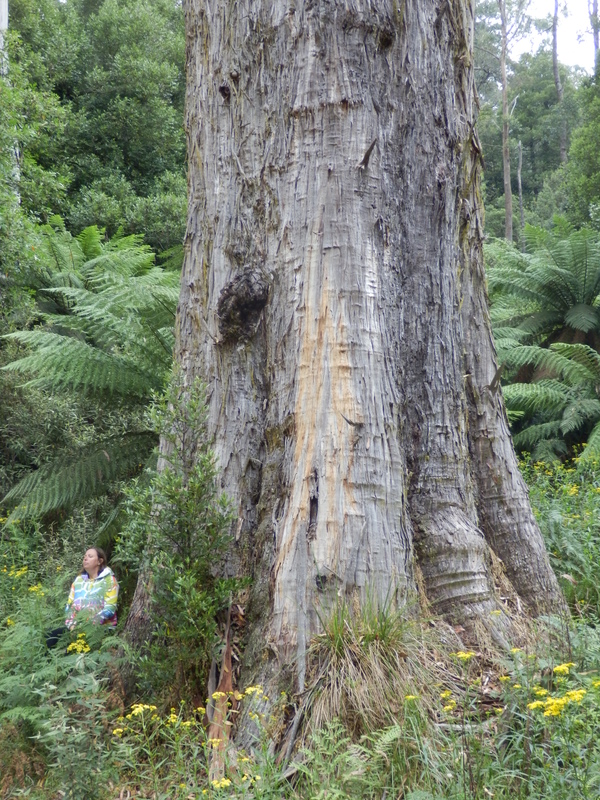 This is an astonishingly large tree is on the south side of a gully filled with Cool Temperate Rainforest. It is growing on the eastern edge of the Errinundra Plateau in the Bendoc region. This location has contributed to its protection from fire damage. I confidently believe that the tree is in the largest contiguous tract of old-growth forest on mainland Australia. The tree is on a road that I rate as the most spectacular in Australia; Hensleigh Creek Rd, where it passes through Errinundra National Park, cuts through a large tract of old-growth forest and has views of countless large trees. The estimated age is 450 years. This assessment is based on a count of the rings of the same species with the same growth stage at nearby Dingo Creek.